This past week, my wife and I were at a Tesla Gallery where she took the Tesla Model 3 for a test drive ahead of her purchase. The experience went well and she absolutely adored the car. I was eventually able to convince her to give me a few minutes behind the wheel as well. So generous of her. But that's not what this vital public service announcement is about. As I was driving the car back to the gallery, I noticed a pair of young men taking turns bending over the rear of another Model 3. Standing next to them was a Tesla employee looking thoroughly confused while watching something on his phone. I initially assumed they were checking out the width of the vehicle. Or perhaps they were examining the usable trunk space. So I thought nothing of it and parked our car two stalls over. Our gallery associate then began to show us some additional features of the OS and navigation we had asked about. At some point during his demonstration, I looked into the rear-view mirror and saw the group was now standing behind our test drive vehicle. They seemed to be wrapping their arms around the rear of our car. At this point I had a pretty good idea of what was going on. When we got out of the car, I looked back at them and grinned. "You are probably wondering why we're hugging the car." One of them said to us as we exited, "Well we saw a video that if you hug the car just right, a secret port opens. It shows a beating heart. We can't seem to get it to work." 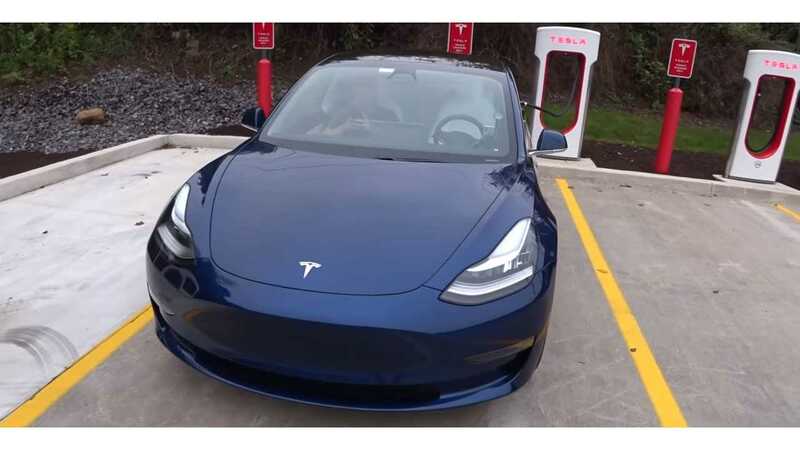 A week or two prior a post had been going around the web that the Model 3 had a secret pulsing "heart" easter egg. This could supposedly be found by wrapping your arms around the car to give it a "hug." I had to be the bearer of bad news. "Yeah, I saw it too." I told him, "It's fake... the Model 3 has no heart." I could see the disappointment on his face. But hopefully I helped save him any future embarrassment. In fact, this was not the first person I had to tell this to. A friend of mine had sent me a picture of the alleged heart port about a week prior, telling me to give the car a hug for him once we picked up ours. I'm not surprised people took the post seriously. Tesla is frequently playful in this way by including fun software or hidden modes on their vehicles. But software and games are one thing. Adding a motorized port onto every Model 3 just for a gag about the Model 3 having a pulsing heart? Not likely to ever happen. If for some reason you still don't believe me, check out the video above by teslaOS. Also, you absolutely can't charge your EV by putting it in the microwave. I don't think that one has gone around yet. But I wanted to nip it in the bud now.